Carey Mitchell, President of Wilson County Beekeepers Association, welcomed 57 members and guest on November 7, 2016 for the monthly meeting. Members approved the minutes from the October 3, 2016 meeting. Carey reported that the Short Course was October 18-20. We had 41 new beekeepers in attendance. Trevor Qualls was on hand to help with the class. Carey thanked mentors who were there to help answer questions and help with the construction of boxes and frames. Also Julie Harper was thanked for bring desserts each evening. November 1 was the Fair Appreciation Dinner. Good food and fellowship, plus a tour of the new Expo Center. Candice Thompson recapped the TBA Board Meeting and Conference, and encouraged all members to vote next fall, as we are the largest TBA group and we need to have our voice heard. The Conference Scholarship winners (Russ Davis, Donel King, and Ron Yearwood) all agreed the Conference was well worth the trip to Cookeville. The other scholarship winner not in attendance was Tyson Davis. Looking for the member that borrowed Joel Hausser’s beetle baffle at the May meeting to see who it was working. Dale McClesky and Greg Daniels represented WCBA at the Lipscomb Food Day on October 26. Dale said it was lightly attended, but they still had a good time talking with folks about bees and honey. There is an Inspector Class being offered by the Smith County Ag Center in Carthage on November 15 & 17 (not a misprint—no class on the 16th) from 6-10 pm. You will need to register and the cost is $20.00 for anyone interested. 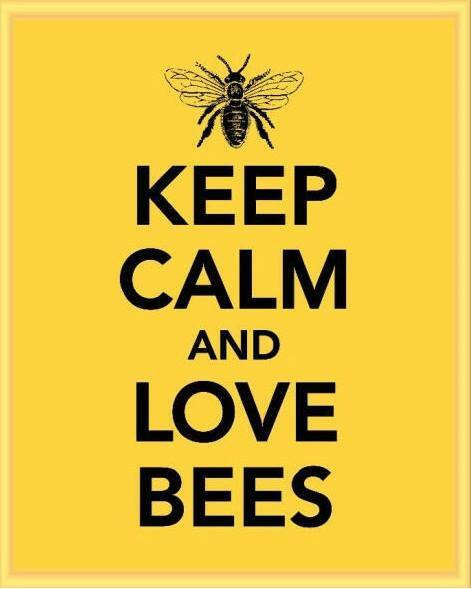 Requirements are 5 years beekeeping experience and a short course under your belt. We have received a bag of bee books from the estate of Dr. Don Cole. Petra purchased several new books and posters at Conference. Kelsie was in the process of getting them ready to be checked out. Question was posed…Do we want to support the Pollinator Stewardship Council again this year, and after discussion, the membership agreed to support the worthy cause again this year in the amount of $500.00. New inspector badges were available. If not picked up by next month, they will be mailed out. New membership books will be out in January. Several members have TBA dues that are due now, so you can pay Petra after the meeting. 2017 schedule of meeting dates and speakers was made available. If you have suggestions on topic or speakers, let Petra know as she will begin working on 2018 in March. The Christmas Dinner was discussed: Dinner will be on our regular meeting date and time: Monday, December 5 at 7:00 pm. RSVP’s will need to be in by Saturday, December 3 so we know how many seats to set up. Club is providing the ham and turkey, cold drinks and coffee. Each family is asked to bring a covered dish AND a dessert. Also bring a WRAPPED ornament for each member attending. Volunteers were asked to bring turkeys (that the club paid for), sweet tea, unsweet tea, and rolls and butter. Thanks to those that raised their hands. Make next year’s plans—what equipment will you need, will you go with packages or nucs, will you be making splits. Whatever you decide to do next year, begin reading now how you will implement it. Carey passed out the ballots for this year’s Charity. The one with the most votes wins. The runner-up will be the charity for next June. Carey also passed out a ballot for Vice President…three nominees—Mark Anderson, Margaret Cantrell, Jessica Dodds). As Fred Dawson was stepping down as Vice President and Director, Chuck Grogan moved from Alternate to Director, and Jessica Dodds to the Alternate Director position. The evening’s program was bee trivia presented by mentors. Carey and Fred handed out door prizes (including CD’s from Odell Binkley) to Denise Grogan, Dell Binkley, John Trusa, Polly Cowan, Jared Brasel, Lindsey Gunter, and Bill Quinn.